The Home Show is Next Month | Mt. 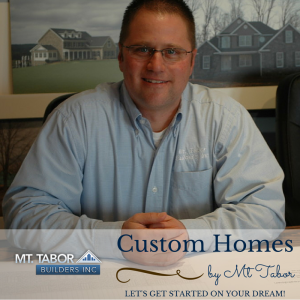 Tabor Builders, Inc.
Is 2019 the year you declare to make big changes in how you live and where you live? The economy is strong. People are building and remodeling homes throughout the Tri-state area. In-law suites are being added and basements are being refinished, as contractors are being pulled in many directions. And if you’re about to jump into the market for any of these services, we have good news. That news is The Washington County Home Builder’s Association (HBA) Home Show on March 9th and 10th is just days away! “We just like to meet people, answer their questions and talk with them from a very relaxed, no pressure approach” says Willie Eby, owner of Mt. Tabor Builders in Clear Spring, MD. The Mt. Tabor team has been a regular participant at the wildly popular two-day show that fills the ARCC building on the campus of Hagerstown Community College (HCC) with vendors and attendees. More than 200 vendors and 6,500 people are expected to fill the arena this year. Willie really enjoys meeting young families dreaming about their new home, established families looking to upgrade and older couples thinking of downsizing. 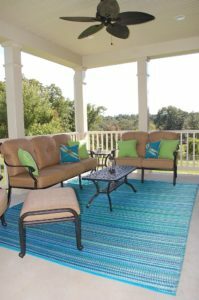 The Home Show takes place Saturday, March 9th from 9 a.m. to 5 p.m. and Sunday the 10th from 10 a.m. to 4 p.m. Admission is just $2 for adults and free for children 12 and younger. To learn more about Mt. Tabor, contact us here or call our office at 301.766.7161.